The Brise Casual Contemporary Queen Sofa Chaise Sleeper by Benchcraft at Michael's Furniture Warehouse in the San Fernando & Los Angeles area. Product availability may vary. Contact us for the most current availability on this product. 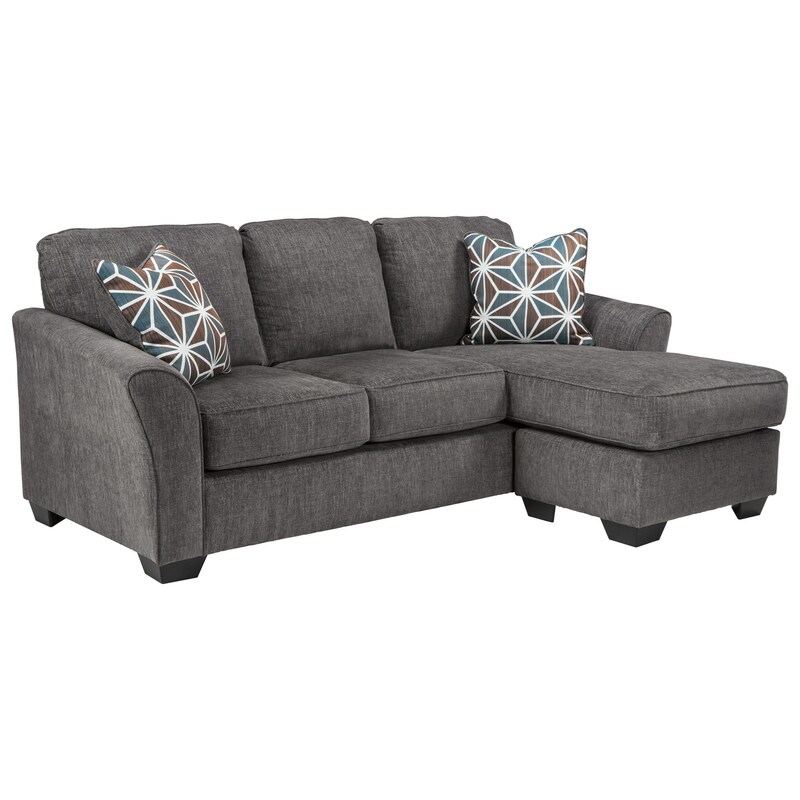 This living room furniture collection's gray slate chenille style fabric and dark red, blue, and white of the geometric accent fabric combine for a contemporary flair. Choose the items available to create a refreshed space in your home. The Brise collection is a great option if you are looking for Contemporary furniture in the San Fernando & Los Angeles area. Browse other items in the Brise collection from Michael's Furniture Warehouse in the San Fernando & Los Angeles area.